The food at the Door County Beer Festival is created by none other than the very best chefs in Door County. Meet the crew serving up specialties this year! 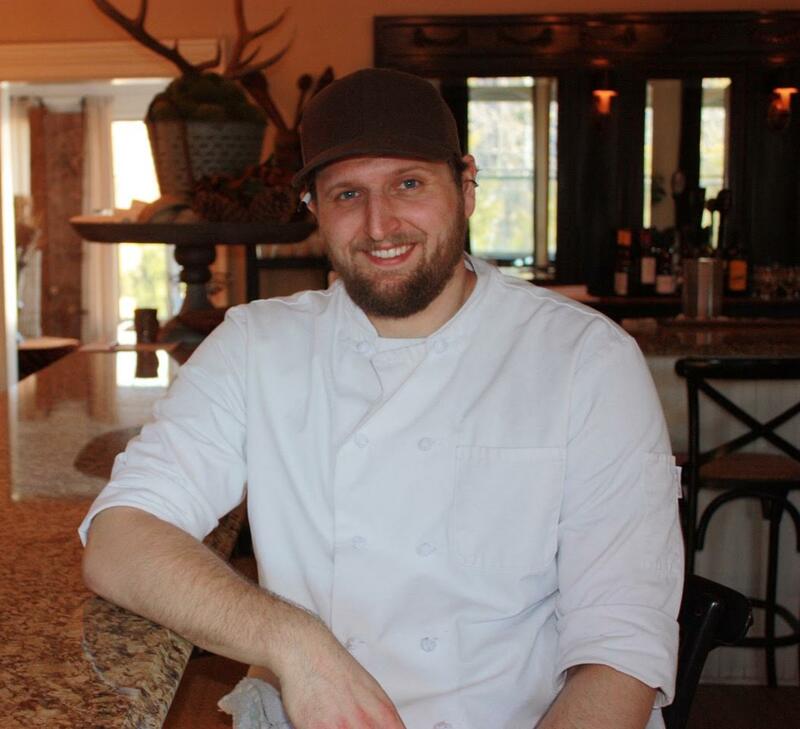 At the helm of the team at Wickman House is Executive Chef Matt Chambas. Born and raised in Wisconsin, Matt developed his appreciation for sourcing ingredients locally at a young age. His mother’s passion for cooking and baking instilled in him a love of from-scratch cooking. His work with the Chapolard family on their organic ‘seed to sausage’ pig farm in Gascony, France was his first building block. The farms principles were inspirational and would later serve him well a gardener and chef. His classical training came by way of working alongside Chef Tori Miller of L’etoile and Chef Shinji Muramoto of Muramoto in Madison, Wisconsin. Chef Chambas celebrates the rural landscape of Door County by foraging and growing ingredients that in turn play a major role in his menu development. 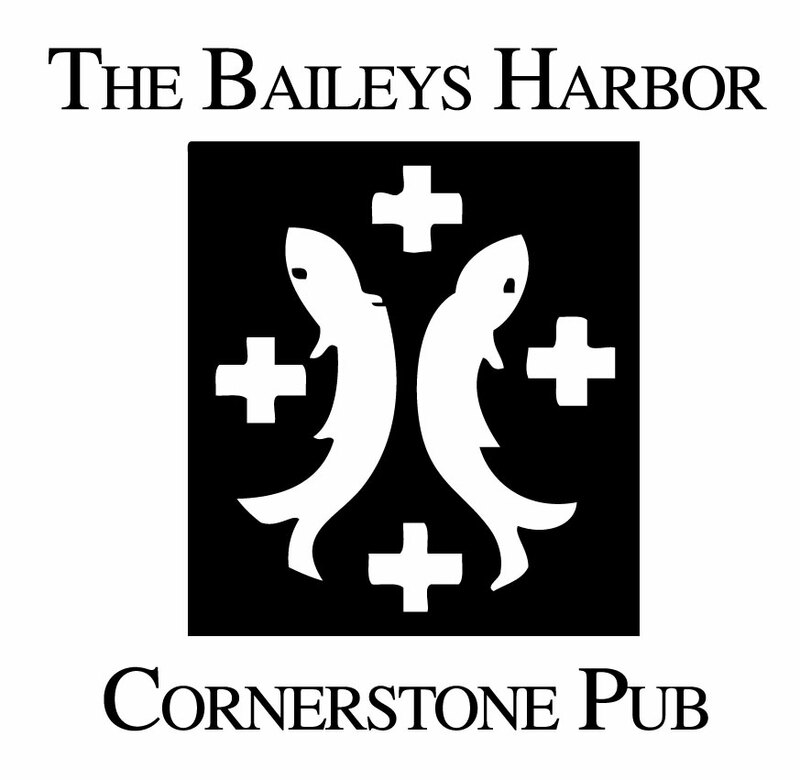 He believes the most flavorful cuisine is made from quality local products and he is committed to showcasing the bounty that surrounds him in Door County. This summer he’ll once again be a part of Outstanding in the Field on Aug. 3 in Door County. 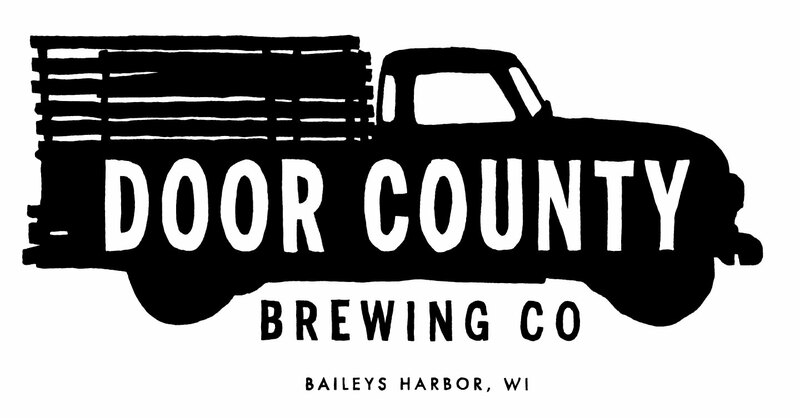 Jesse Johnson began handcrafting cheese on his family’s goat farm outside Sister Bay in 2010, and in July 2013 his dream became a reality with the opening of the Door County Creamery, a cheesemaking facility and retail store in downtown Sister Bay. Johnson grew up in the restaurant industry working in his parents’ iconic Sister Bay restaurant, JJ’s La Puerta. After college Johnson continued cooking and traveling the world to work in restaurants around the world, eventually opening Waterfront Restaurant with his parents. Eventually, his passion turned to the quintessential Wisconsin specialty – cheese, and he set his sights on bringing artisanal goat cheese to Door County. 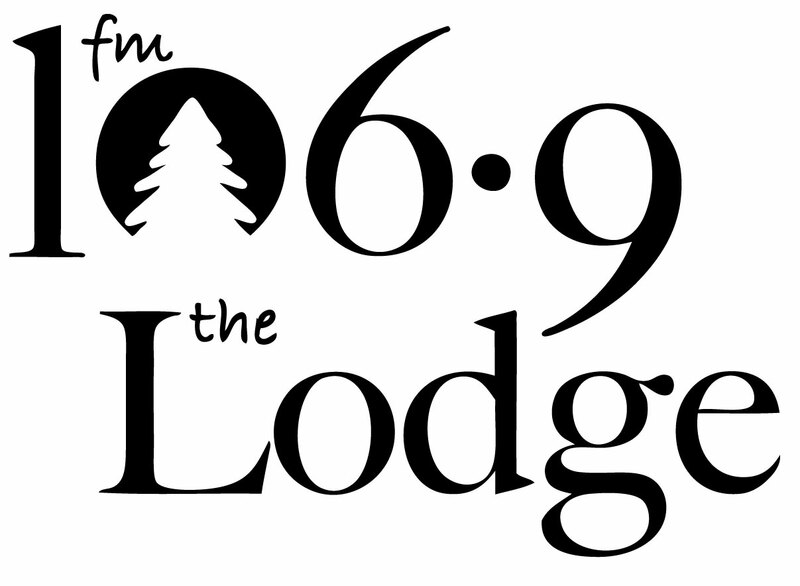 Their tag line is their mission: love local cheese. They wanted to give the Door County community the opportunity to fall in love with fresh, local cheeses, inspired by a stint on a farmstead in France years earlier. JR Schoenfeld has spent more than 25 years honing his craft in kitchens of all sizes from Alaska to New Orleans. 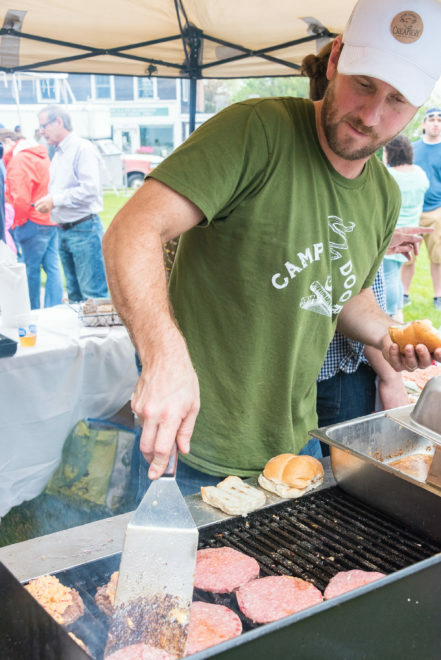 His wide range of experience is evident on the menu at Chives and in the food he brings to the Door County Beer Festival. Chives Restaurant is JR’s dream and a culmination of his favorite places he’s been and most importantly, his favorite foods he learned to prepare along his way. He keeps it simple, always using the freshest ingredients available to him. 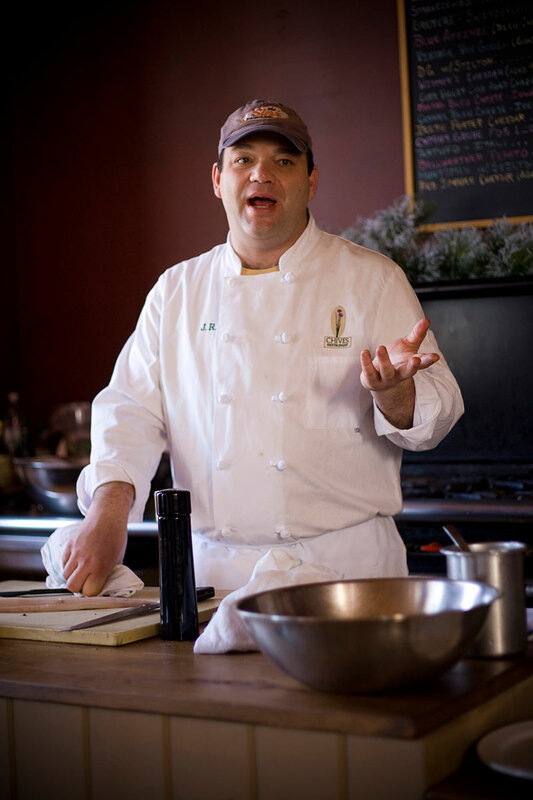 After high school, JR followed his culinary dreams to New Orleans, then Indianapolis, Alaska and finally Vermont, where he studied at New England Culinary Institute in Montpelier and met his wife, Cindy. After graduating from culinary school, he honed his craft in professional kitchens at restaurants, hotels and private clubs around the country. Eventually, JR and wife Cindy felt the pull to move back to the Midwest to be closer to their families, and JR took a job as Executive Chef for PMI, working closely with the Green Bay Packers and all food service at Lambeau Field, before opening Chives in Green Bay. JR and his team also operate The Bread Bank in Suamico, Bleu in Green Bay, Chives of Green Bay, and Rye Restaurant in Appleton. 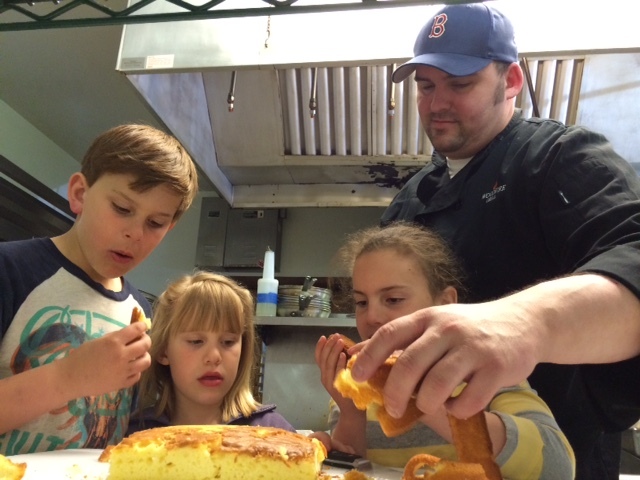 Fireside Chef Blake Schar in the kitchen with his kids. Chef Blake Schar received his culinary degree from the Scottsdale Culinary Institute in Arizona. Since graduating in 2005, Blake has run kitchens across the county from Arizona, Iowa and Illinois, and Wisconsin. 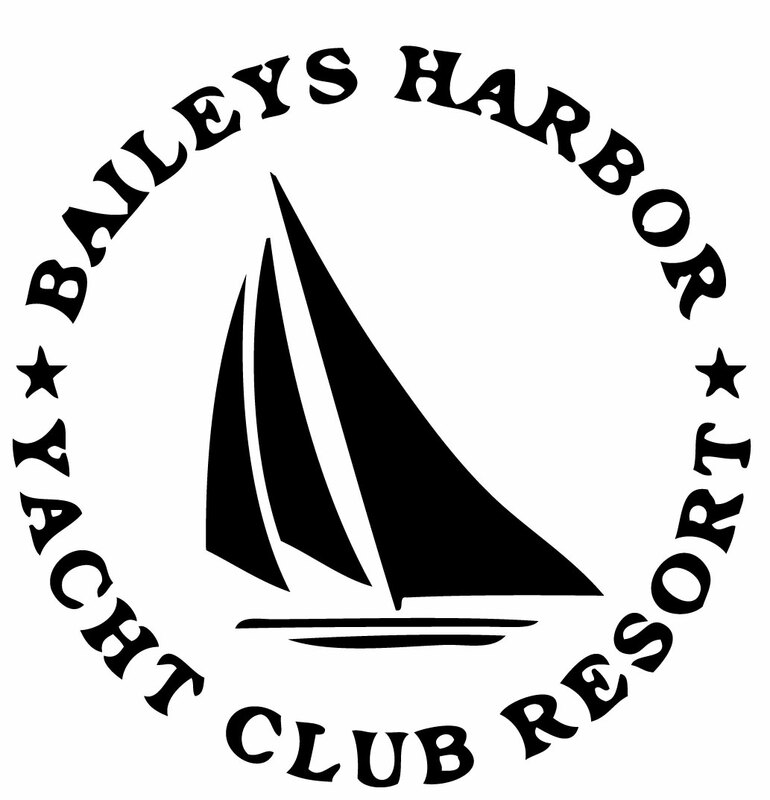 In 2014 his family opened The Fireside in Ellison Bay. Schar pushes creativity in Door County, with solid, homey, classic comfort foods, showing favor to those warm dishes that Mom use to make. Although he is not shy to admit his bias for butter and bacon, don’t let the Midwest in him fool you. Chef Schar pulls on his formal training from Scottsdale Culinary Institute, searching for ways to incorporate Southwest flavors like chipotle peppers, cilantro, cumin, and ancho peppers without taking the bold flavors too far. Watch for formal elegance in his food as well as interesting twists on comfort foods. Originally from Appleton, WI, Ryan grew up with affinity for classic Midwestern flavors and food traditions. After graduating from The Culinary Institute of America in 2007 he spent most of his professional career in Madison, WI. His passion for locally sourced, seasonal cuisine found a perfect match serving as Sous Chef at L’Etoile, working under James Beard Award winner and Executive Chef Tory Miller. There he was able to cultivate relationships with a strong community of growers and producers, cementing his belief that delicious food starts with the people who grow it. After working with multiple restaurants in the Madison and Door County communities he’s excited to bring his love for Midwestern cuisine to The Whistling Swan. When Ryan is not in the kitchen he can be found exploring the woods of Door County foraging for wild edibles.